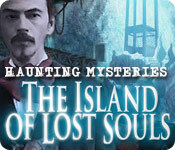 Haunting Mysteries: The Island of Lost Souls is rated 4.2 out of 5 by 43. Rated 5 out of 5 by SparkleGlow100 from 15 HOPS - Relaxing,moody, laid back story -Available at BFG since 2012 You get lighthouse with moody skies, caves and mines, island and home. Some lovely, artistic touches. A simple and solid game. I liked the characters you come across, that you must help. Rated 5 out of 5 by Alyndrael from FUN! This SE seems like a CE :) WOW 40 Collectibles Acheivements to earn Great Story with nice voiceovers! Fun HOS And this is the SE version! Bought this game in 2013 and this is my second play through. I just felt the need to say GET THIS GAME! Rated 5 out of 5 by charlene_lane from SAVE LILLIAN AND ALL THOSE LOST SOULS ON THE ISLAND Review of completed game. I loved this story. Yes, it is an older type of game but honestly you will love it. 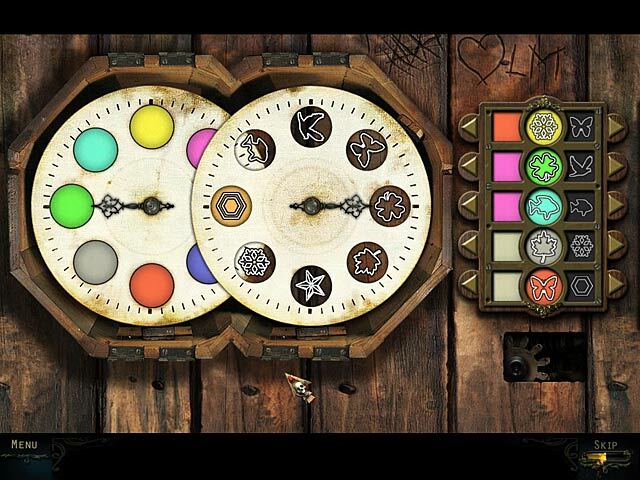 There is: * Casual and Expert modes of play; * Voiceovers; * 32 Secret Awards; * Find 40 haunted souls; and * Scoreboard. The graphics ranged from being okay to very good, depending on what scene you are in. It didn't take me long to get used to them. There is a lot of grey and most scenes look a bit bleak, but the story line is so good that I didn't really give it much thought. Sound is good and the music is orchestral and piano. 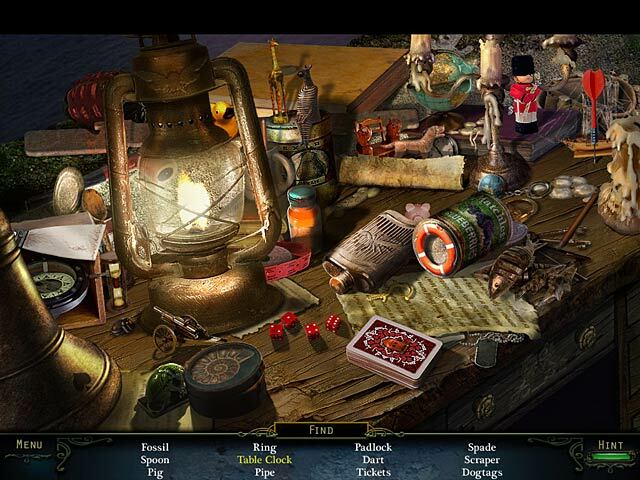 The hidden object games are mainly straightforward which you will play twice. There are a couple of HOPs where you find 20 stars, etc. These all have a good challenge to them. Some items are very small to see, but I just carefully went through each part of the screen slowly to make sure I got everything. Each HOP took me about 5 minutes or so to do. There are a good range of mini-games. I've seen them all before but I enjoyed doing them again. None of them are too hard or boring and I didn't skip any due to growing frustration. There are 32 secret awards which you will accomplish throughout the game. I only managed to get 28 of them, so when I play this game again down the track I'll try and get them all next time. There are also 40 haunted souls to find through the game - I think one in every scene. These are seriously hard to find and I only managed to find 30 of them - and I was really trying hard too. I tried to find them when I entered each scene at the beginning so I wouldn't forget about it, but some I just couldn't see at all, no matter how hard I looked. Oh well, never mind, no secret award for that one. There is a scoreboard on how long it took for you to play the game. It took me just under 6 hours and I was flung to the top of the board - yee haa. However, I wasn't playing fast and you may do much better than me. Overall, a fantastic game which I'm sure you will enjoy. Definitely comes recommended. Happy playing fishies. Rated 5 out of 5 by LEIZAP from LOVED this game! This game is exactly what I look for in a HOPA! It's got all the regular stuff AND MORE! The regular: HO's, Puzzles, Adventure, good storyline, excellent music, and excellent quality voice overs... The "MORE": 40 spooky faces hidden in each location and 32 available achievements! My only complaint... I WISH I BOUGHT THE CE!!! Rated 5 out of 5 by Doriane333 from VERY NICE SE GAME I really like these games without fla-fla (maps, hints, short-cuts, etc) and which you have to think with your grey cells and return on your path many times. Nice mini-games, just enough hard HO, many places to visit, lost souls to collect (I relalise that in the middle of the game!) and awards to win all the game long. Ok, graphics are not that "sharp and crisp", but there are very nice details when you take your time to discover and this game deserves for me 5 stars. Oh, music is also very good. I really appreciate. Rated 5 out of 5 by Taintedfury from Romantic love story with a ghostly touch.. Overall i feel it had a good storyline with beauitifull graphics and music. Lot's of great puzzles too. I recommend this game. Rated 5 out of 5 by cjjerome from A Must Buy For Me! I love that the hint button loads quickly, that your are able to click when most spirits are talking to speed it up and not wait until they are done and you have already read what they are saying. 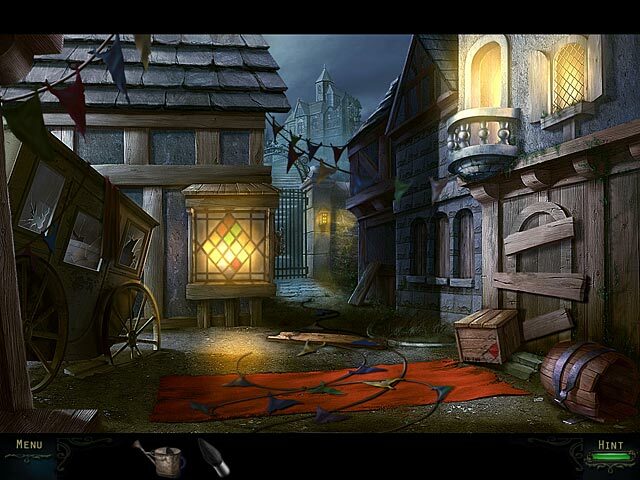 I'ts fun, adventerous, challenging also there are hidden object spots that are great! There is some back tacking but it's not that bad so far. I just completed the trial and this game will be my next buy! Rated 5 out of 5 by aleta59 from Great story Wonderful characters, whose souls you need to release. Really good VOS. Graphics good except in HOS, which were a bit fuzzy and hard to see without a magnifier. Lots of them, too. A little over 4 hours on casual play. Rated 5 out of 5 by gamergonewild from What a Great Game! I think the game started off a little slow but the supense builds as you move into the story. I just finished the game and wanted to pass on how much I enjoyed the story and game play. There has already been many reviews on this game and it is a great game. I loved the story of Lillian and Angus and their sad love story. The ghost were so much fun to listen to with their scottish accent. Even in death Lord Neville will not release Lillian. You just have to keep playing to help her and the other ghosts that are trapped. I really liked the errie mood and ghostly atmosphere. The graphics, the music and the voices were so right for this type of game. This is my first 5 rating. I hope others enjoy it as much as I did! Rated 5 out of 5 by Cucinaosca from Worth every penny! Wow! Really impressed! The story line was captivating and the puzzle scenes and HO games were unique. My only complaint was the HO scenes were a little messy and difficult to find some items-but overall definitely a great game!